In these dark times, truth is an endangered species. Trust is hard to come by. But at mealtime, we lay bare our vulnerabilities. When a plate hits the table, we're putting the utmost trust that those who prepared our food have our best interest in mind. And our best interest is rooted in trust. Recently, my trust was shattered. 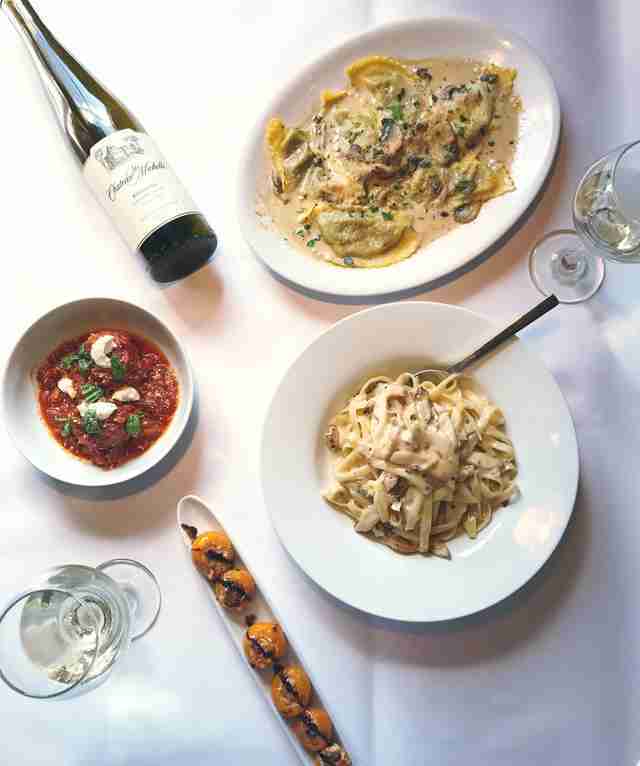 All it took was one trip to the popular Romano’s Macaroni Grill. I wasn’t expecting a lot from this popular chain: just some simple, delicious Italian fare. Not upscale, but not cheap. I believe the word is "rustica." And true to form, things began delectably. I savored my springy calamari fritti, practically licking that black pepper aioli out off the dish in between hearty gulps of my Cranberry Splash, made from a blueberry Red Bull so authentic it made me miss my nonna. But as I perused the pasta menu, a sudden wave of shock washed over my body. My trust was washed down the drain like so much discarded Bolognese. 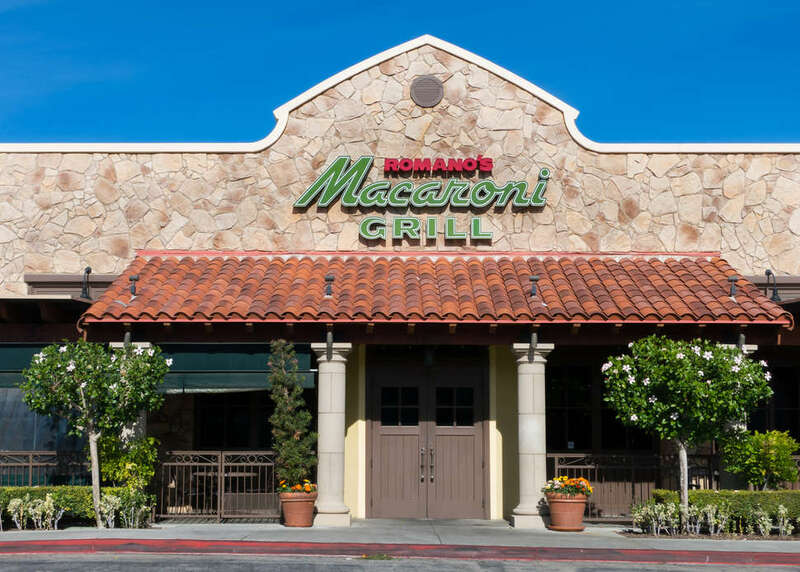 There is no macaroni on the menu of Romano’s Macaroni Grill. OK, technically there is. But you won't find it in the actual macaroni & cheese, which is made in penne. Those precious, elusive elbows make a stealth appearance in little deep-fried mac & cheese balls. Nowhere else. Naming this place macaroni grill is misleading at best, downright duplicitous at worst. This would be like Taco Bell rebranding itself as Apple Bell just because it tucks some sliced up fruit in an empanada. Technically, it's true. But the truth is wrapped up in a batter-coated ball of deception. Call me old-fashioned, but it used to mean something to name-check a food in a restaurant’s moniker. That's why KFC isn't a burger joint, Cheesecake Factory doesn't specialize in pudding, and Cracker Barrel serves crackers with its soup and has barrels outside. If I rolled into a Buffalo Wild Wings and was confronted by well-behaved chicken breasts, I'd be outraged. Just like I was at Panda Express, and just like I was at this so-called Macaroni Grill. The thing is, this Romano fellow could have renamed the restaurant after literally ANY of the pastas on the menu and been just fine. Romano’s Spaghetti Grill? Bene! Romano’s Ravioli Grill? Mangia! Romano’s Penne Grill? Eh, actually, let’s go with Ravioli. If rebranding worked for International House of Burgers, it can work for Romano's. What stings the most -- and believe you me, I feel like I was swarmed by wasps -- is that these delicious dishes would be just fine (or better) with the addition of actual macaroni. What is fettuccini Alfredo, after all, if not just a skinnier, stinkier mac & cheese? Would not meatballs be just as succulent with elbows rather than spaghetti? Would the roasted chicken, shrimp, and prosciutto be any less rustic with macaroni in place of penne? I think not. This isn’t the first time I’ve been gaslighted by an Italian restaurant, either. I bitterly remember opening the menu of a place called Salvatore Scallopini in my hometown and noticing a total lack of scallopini. Did I go back? Well, yeah. It was high school homecoming, and I made out with my date after, so I figured the place was a sure thing. But we broke up immediately after our second visit. I think it was because the relationship was founded by a lie, a promise of scallopini that festered in its heart until it finally tore us apart and left our love dead on the grass between first and second base. One lie always leads to another. It snowballs. It leads to fractured families and breakup notes and a general state of paranoid mistrust. One minute, you're letting little white lies slide. Before you know it, you’re at a Dairy Queen being force-fed vegan sorbet. We need to hold our restaurant’s accountable for their names if we’re to advance as a nation into a more trusting populace. As a result, I’m calling for a boycott on all reruns of Everybody Loves Raymond and anything else associated with the name "Romano." But not Romano's Macaroni Grill. Those little mac & cheese balls are pretty delicious, and I’m on a budget. Thrillist senior editor Andy Kryza cannot wrap his head around the fact that there's a new Old Country Buffet in the middle of his city. Follow him to therapy @apkryza.